Oh lawd she comin'. 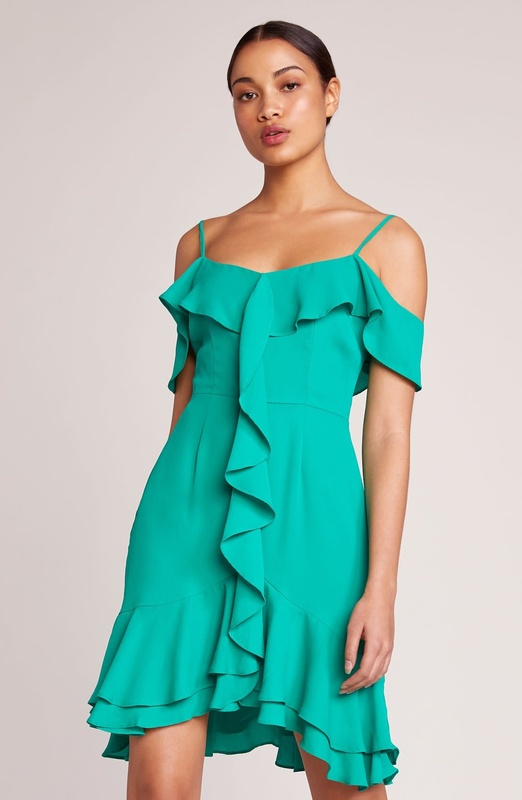 The Make An Entrance is a pepper green off-the-shoulder cocktail dress with ruffle trim. From the RSVP collection.